$1,799.99 This may be in stock for quick delivery; please call! 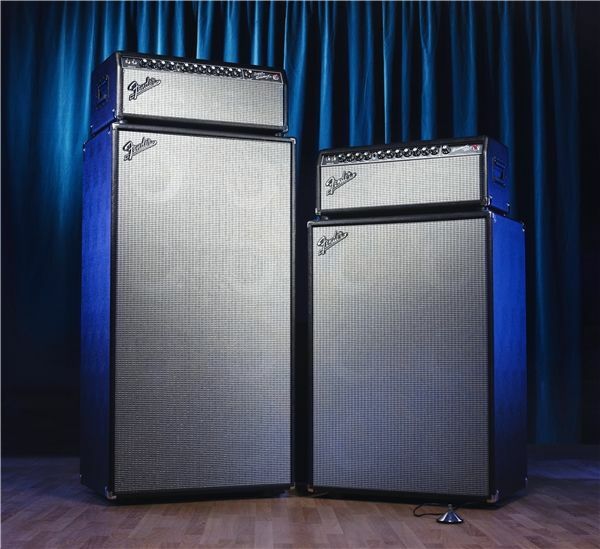 One of the most powerful and versatile bass amps Fender has ever created, the Super Bassman is a stadium-level 300-watt tube head designed for the biggest shows and the largest stages, with enormous Fender bass sound and sparkling vintage Fender looks. 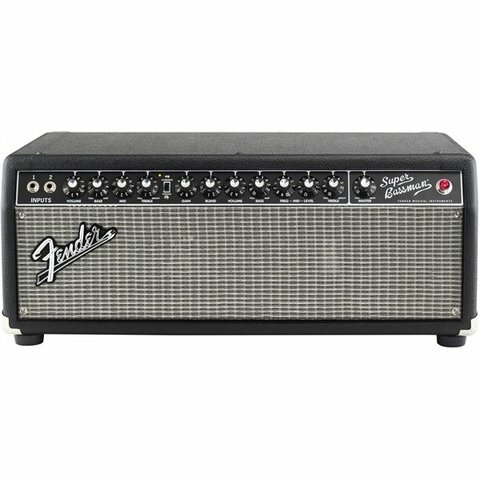 Perfect for stage and studio alike, its dual-channel design uses modern technology to maximize classic technology, with classic Fender '60s "blackface" styling and a wealth of innovative features on the front and rear panels. 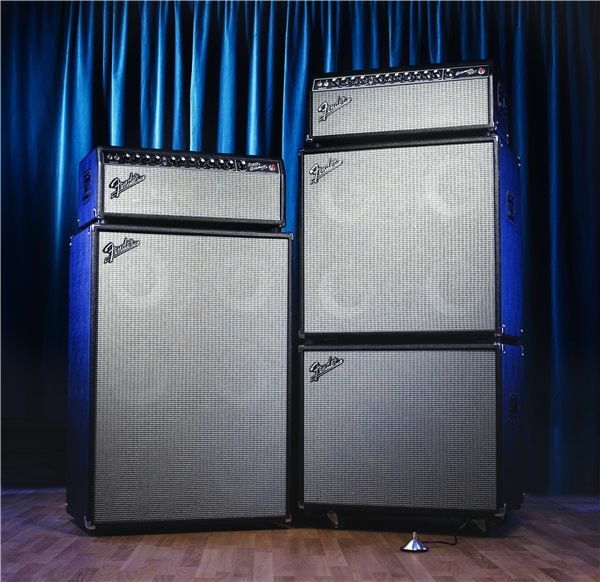 Features include a tube preamp (two 12AX7s) and power amp (one 12AX7, one 12AT7, six 6550s); Vintage channel that delivers the full, warm sound of a classic Fender passive tone stack; Overdrive channel that delivers the aggressive and responsive sound of a modern active tone stack (choose between channels with included footswitch); rear-panel Fender Automatic Bias system that constantly monitors and re-biases tubes for perfect performance and alerts you when service is required; Speaker Output switch that can be set to "Mute" to turn speaker off and record silently using preamp tone from the XLR output; Impedance switch (8, 4 or 2 ohms) and master volume control with push/pull mute.